Landmark Wealth Management, LLC » Term Vs Permanent: Which Life Insurance Policy Is Right For You? Term Vs Permanent: Which Life Insurance Policy Is Right For You? Life insurance planning is a topic that is often very confusing for the average individual. There are various different types of insurance products available, and it is not always clear which solution is the most suitable for an individual to select. In order to make an educated decision, it is imperative to obtain at least a basic understanding of how life insurance products work and what form they are issued in. There are two basic forms of life insurance, term coverage and permanent coverage. While often times financial professionals will advocate convincingly for one or the other, neither is always correct. Term Insurance is a type of coverage that is issued for a specific term, as the name would imply. Coverage will typically range from 10 to 30 years in duration. At the end of the policy period, the policy simply expires leaving you without any coverage and with no accumulated cash value. The premiums which are paid directly to the insurance company are substantially less than that of a similarly issued permanent insurance coverage. Permanent Insurance itself comes in multiple forms. They are Variable, Universal and Whole Life policies. Each of these policies are designed to accumulate a cash-value component that can be viewed as an investment towards retirement, as well as a source of funds to pay for the policy premiums later in life. The policy premiums are typically significantly more than those for a term policy with an equal amount of corresponding insurance coverage. The younger the age of the insured at issuance, the stronger the argument for term coverage will be. The principal behind this argument is that there is no need for life insurance unless you have a financial dependent. Insurance is a contract of indemnity. There is little reason to buy any life insurance if you are not married, have no children or any other dependents. However, it is imperative that a younger couple with minor children carry adequate insurance to care for their dependents. The cost of insurance has a much greater effect on their budget in their early years of accumulating wealth. In the event that they have excess cash flow above the cost of insurance premiums, the case for using life insurance as a savings mechanism is not very strong. More often than not, it will pay to redirect any additional cash flow towards increasing 401k or other employer-sponsored retirement-savings plan. If those features have been maximized, then other tax-sheltered savings options, such as an IRA or Roth IRA, should be explored. If an individual should pass away at a younger than traditional age, their dependents would inherit both the death benefit of the insurance policy as well as the the additional retirement savings. As you get further on in years, there may be a number of circumstances when the benefit of a term-life policy is not as clear. In the case of an individual or couple who may still have dependents, a term policy may not offer a long enough coverage period. Term insurance most often does not extend past 80 years of age. In the event that a pension benefit stops with the death of a spouse, leaving the other spouse without a sufficient, permanent coverage should be considered. While ideally it would be preferable to use the extra cash flow to have money saved for such an event, this isn’t done and in many cases it is too late and the clock cannot be rewound. It is not uncommon for Americans to live into their 90’s today, what if the spouse with a pension benefit passes away at age 81, just after his term-insurance coverage expired. If the surviving spouse were to reach age 95, they would be forced to deal with a significant period of time in which they may not have a sufficient income. As you age, the amount of coverage needed to replace a pension declines as a person’s life expectancy shortens. In such a case, a permanent policy can be tailored with a decreasing death benefit as the years go by to keep policy premiums under control. Small business planning is another area in which permanent insurance policies can be a benefit. When business partners enter into an agreement to form a partnership, it is fairly common to create what can be known as a Buy/Sell Agreement, or for multiple partners a Cross-Purchase Agreement. These are agreements in which two or more partners establish an agreement to buy out the other’s interest in the business upon death, disability or some other circumstance in which one party can no longer contribute to the business. In most cases, the surviving partners do not wish to bring their deceased partners heirs to the estate as a new partner. The insurance allows them the funding to buy out the deceased party’s interest from their beneficiaries. While term insurance can theoretically suffice for this need, in the case of an older partner who remains active, the limitation on time with a term policy can be problematic. Additionally, the economic value of the business entity may be growing, which requires additional insurance coverage over time. In order to avoid underwriting risks in future years, a universal policy can be structured with an increasing amount of insurance to compensate for this concern. Tax benefits can often be cited as a reason to use permanent insurance. This is certainly true in the case of the minimization of estate taxes through what is known as an Irrevocable Life Insurance Trust. This is an estate-planning technique which typically requires insurance to continue in perpetuity. Considering the recent increases in the estate-tax thresholds, this technique has become much less common. Another tax benefit is the ability to shelter money for the purpose of college planning and retain eligibility for financial aid by hiding money outside the view of FAFSA applications for federal student aid. This is not the most economical method to shelter money as insurance is much more expensive than other forms of tax shelters such as some low-expense versions of variable annuities that are issued without a sales charge by some prominent mutual-fund companies. 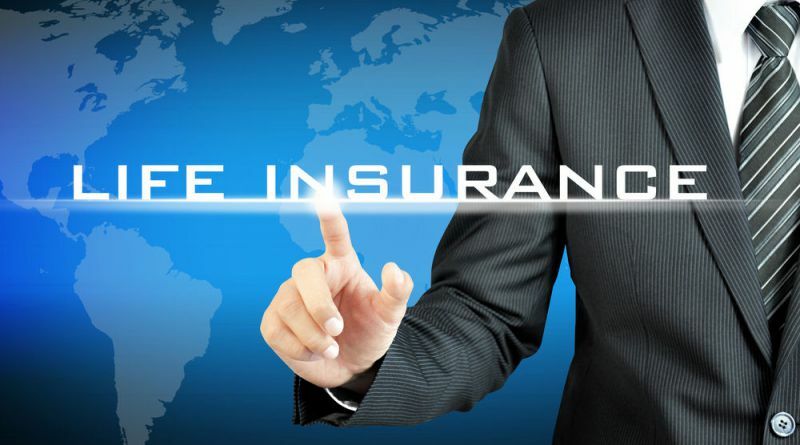 More recently, a number of hybrid-type life insurance products have been developed. One example is a term insurance policy that offers a convertibility feature to a permanent policy at the end of the term. This is extremely attractive to younger individuals. It permits you to buy 30 years of term coverage at only a nominally higher premium over traditional term, with the ability to convert it to permanent insurance if, for example, you should be diagnosed with a serious or terminal condition just before the end of the term. In the case of my example, such a diagnosis could make it difficult, if not impossible, to get a new policy. This convertibility allows the insured to continue the policy without evidence of insurability as a new permanent policy. The insured would be subject to the higher premiums associated with permanent insurance if they opted to convert, or they could simply let the term expire if there was no need for the additional coverage. One of the more interesting new coverage options available for those approaching retirement is hybrid universal insurance coverage coupled with a long-term care policy. They can offer the ability to pay for a long-term care benefit, that if needed will simply be a draw against what would otherwise have been a death benefit. Most often these policies should be purchased for the LTC benefit itself, with the life insurance coverage being a secondary benefit to make sure the policy premiums are not simply wasted…which can be a concern with traditional long-term care policies. While this approach is more expensive than buying a traditional LTC policy, there is at least a guarantee of some form of a return on the insured’s money, whereas traditional LTC coverage can be very expensive that is never used and pays nothing back to the policy holder or their beneficiaries. Ultimately, insurance planning, not unlike all forms of financial planning, is specific to the individual circumstance. There are no absolute product solutions which apply to us all. It is important to educate yourself on the topic before committing to a contract, because most insurance professionals are compensated on a commission basis. The more expensive product they sell you, the more money they will make. In some cases, the more expensive product may be necessary, but that is not always the case, and it is not the case in the majority of circumstances. "It's not how much money you make, but how much money you keep, how hard it works for you, and how many generations you keep it for." Disclaimer: This website is for informational purposes only and does not constitute a complete description of our investment services or performance. This website is in no way a solicitation or offer to sell securities or investment advisory services except, where applicable, in states where we are registered or where an exemption or exclusion from such registration exists. Information throughout this site, whether stock quotes, charts, articles, or any other statement or statements regarding market or other financial information, is obtained from sources which we, and our suppliers believe is reliable, but we do not warrant or guarantee the timeliness or accuracy of this information. Nothing on this website should be interpreted to state or imply that past results are an indication of future performance. Neither we nor our information providers shall be liable for any errors or inaccuracies, regardless of cause, or the lack of timeliness of, or for any delay or interruption in the transmission thereof to the user. THERE ARE NO WARRANTIES, EXPRESSED OR IMPLIED, AS TO ACCURACY, COMPLETENESS, OR RESULTS OBTAINED FROM ANY INFORMATION POSTED ON THIS OR ANY LINKED WEBSITE.